Jason Cummings (left) in action for Posh at Southend. Peterborough United striker Jason Cummings is ‘full of remorse’ after a video of him causing damage to his city apartment emerged over the weekend. The 23 year-old will be fined after embarrassing the club with his actions which included hurling items of furniture, including a widescreen television. around the room while appearing to be drunk. But Posh boss Steve Evans has pledged to support his gifted player through a difficult period in his life. It’s understood Cummings, who was substituted in the second half of Saturday’s win at Southend, has recently split up from his partner. “It wasn’t pleasant to watch what went on, but the club have dealt with it and that will be the end of the matter for now,” Evans stated. “We know what’s been going on in Jason’s life and his behaviour was a reaction to that. “He has been disciplined as per club procedures, but now we will concentrate on supporting Jason through a tough period in his life. I do not offer my support blindly, but Jason is worth it because of his personality not because he is a top player. He’s just suffered because of 10 minutes of madness. We shouldn’t stop players having a couple of beers after a good win, but Jason must know when to stop. “I took him to the ice hockey last night with my family and he was apologetic and full of remorse. He knows he has done wrong and I doubt he will repeat it. 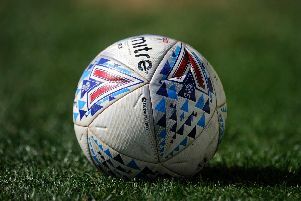 Posh are taking on Oxford in a behind-closed-doors friendly at the ABAX Stadium today (September 10) and Evans has selected a strong side including Saturday matchwinner Ivan Toney, Jamie Walker, Marcus Maddison, Louis Reed and Tyler Denton. Lewis Freestone also plays. The left-back has extended his loan at National North League Nuneaton into a second month.